Nashville, TN – Nashville Sounds infielder Joey Wendle was named as the second baseman on the 2015 All-Pacific Coast League team today, which was announced by the league office this afternoon. The 25-year-old has spent the entire season with the Sounds, playing in a team-high 129 games and hitting .287 (156-for-544) with 40 doubles, seven triples, eight home runs, 52 RBIs and 10 steals. He paces the club with 55 extra-base hits and is second with 42 multi-hit games. It was his first season above the Double-A level and his fourth year of professional baseball. As of today, Wendle ranks among PCL leaders in hits (1st), games (2nd), doubles (T-2nd), triples (T-4th), extra-base hits (5th) and total bases (6th, 234). He has also appeared exclusively at second base defensively and leads all league players at the position with 655 total chances, 277 putouts and 363 total assists. The New London, Pennsylvania native – acquired by the Oakland A’s from the Cleveland Indians organization last December – has been raking the ball since the All-Star break, collecting 65 hits and batting .342 with 22 extra-base hits. In the 43 games since July 16th, he has hit 16 two-baggers and put himself in position to break Chris Truby’s single-season franchise record for doubles (41, 2004). The award is Wendle’s third career All-Star nod, earning a midseason honor from the New York-Penn League in 2012 and postseason accolade from the Carolina League in 2013. He was also the recipient of the Lou Boudreau Award in 2013, given to the top position player in the Cleveland farm system each season. Wendle has posted six hitting streaks of five or more games this season, establishing a career-high 11-game streak from April 27th to May 8th (15-for-47, .319). His nine total bases in the April 12th game at Colorado Springs was a season best among Sounds players and he became one of three Nashville bats to collect a two home run game during the 16-11 win. He solidified his name in First Tennessee Park by hitting the first home run in park history on April 21st, a solo shot off Oklahoma City hurler Carlos Frias. The All-PCL squad is selected annually through voting by the league’s managers and media representatives. 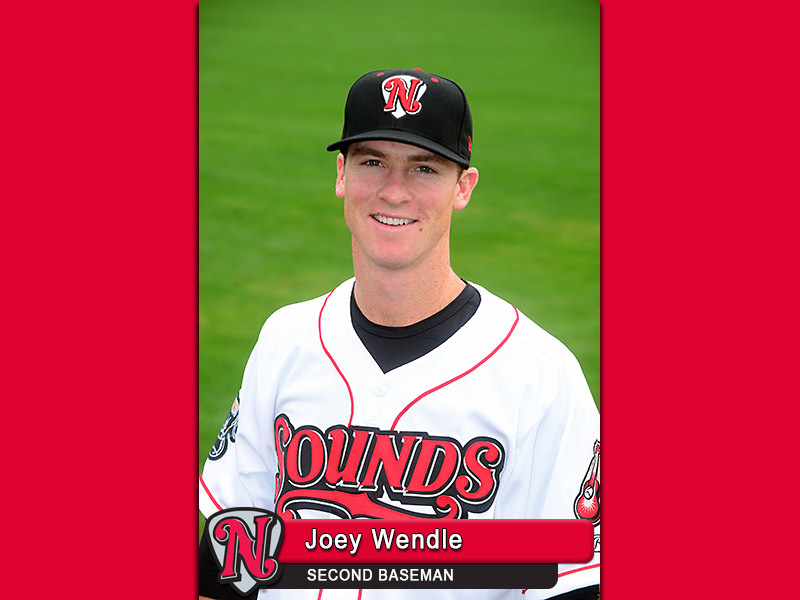 Wendle is the first Sound to be recognized on the All-PCL team since 2014, when right-hander Jimmy Nelson was elected, and the first Nashville position player honored since Taylor Green in 2011.